Place the noodles in a heatproof bowl, and cover with boiling water. Sit for 3 minutes, before separating the noodles and draining the water. Place a wok or large frypan over high heat. Add the oil, garlic, ginger and chilli. Cook for 1 minute, whilst stirring. Add the bok choy and cook for another minute. Add the rice noodles, soy sauce and lobster oil, and cook for 2 minutes, tossing occasionally. 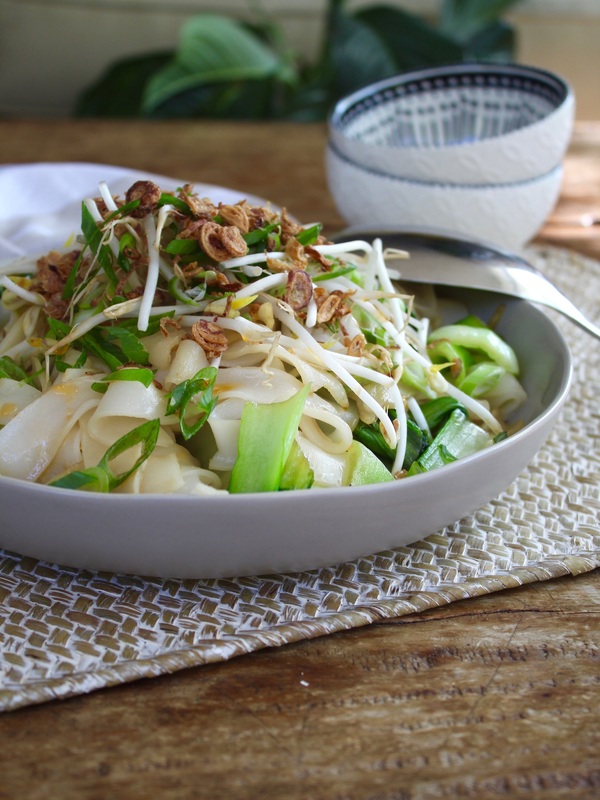 Place into a serving bowl and top with bean shoots, spring onion and fried shallots.